Every month brings with it it’s own things to do and things to remember, and it can be really hard to stay on track and understand how to be organised throughout the year without some sort of help – and that’s where this post comes in! Over the course of last year I wrote a post at the start of each month about how to be organised in that specific month. Also – as an extra bonus I created a series of printables (1 each month) that could be used to track things that need to be done so that you have it all to hand. These are available in the OMH Printables Library – the place where all free printables from the site are kept. Just CLICK HERE or on the image below, and you’ll go straight there. Hope you enjoy! 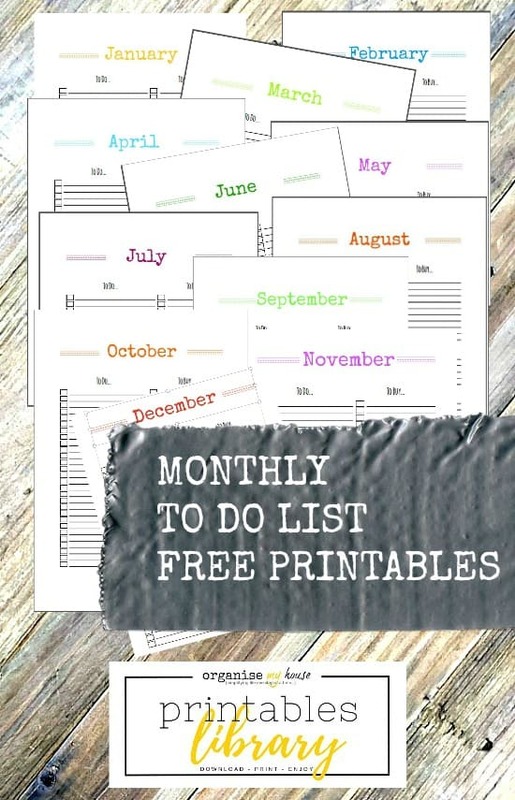 TIP – Why not print off all of the printables and add them to your diary at the start of each month, or hang on the wall – stay on track the easy way! I really hope that you have a great year – and that the posts and printables help you to be more organised. I love to use the printables to track the things that really matter to me and my family – goals that we want to achieve. Previous Post: « 5 easy ways to get organised now for next Christmas – yes, really!